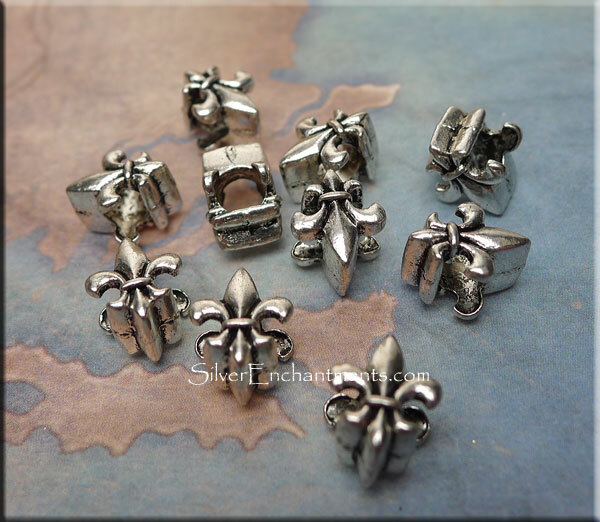 Wholesale Antique Silver Pewter Double Sided Fleur di Lis Large Hole Beads - European Big Hole New Orleans Lily Beads - 11mm x 8mm x 7.5mm 'thick' (Double-sided) with ~4.5mm Hole - These Double Sided European Style Big Hole Beads will fit the majority of the Big Name Large Hole Add a Bead Jewelry Styles. - Lead-free / Nickel-free - Sold by Bulk 10 Piece Bag. 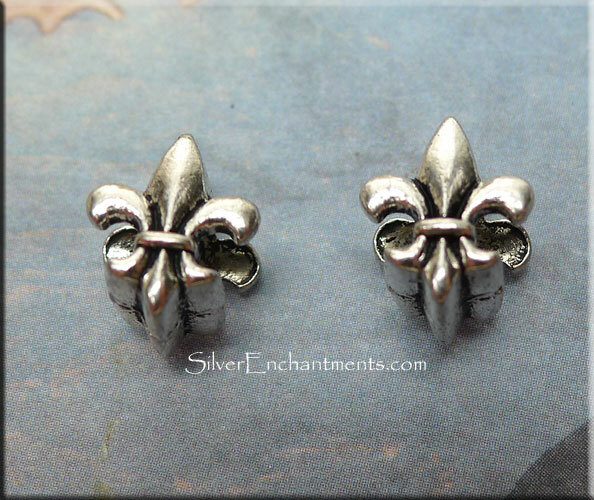 Fleur Symbolism - The fleur-de-lis or fleur-de-lys is a stylized lily or iris that is used as a decorative design or symbol. The three leaves represent the medieval social classes: those who worked, those who fought and those who prayed. The three petals of the heraldic design reflect a widespread association with the Holy Trinity, with the band on the bottom symbolizing Mary.